Follow the secondary road to Água de Pau, passing by a fountain and further ahead choose left by an ascending way. 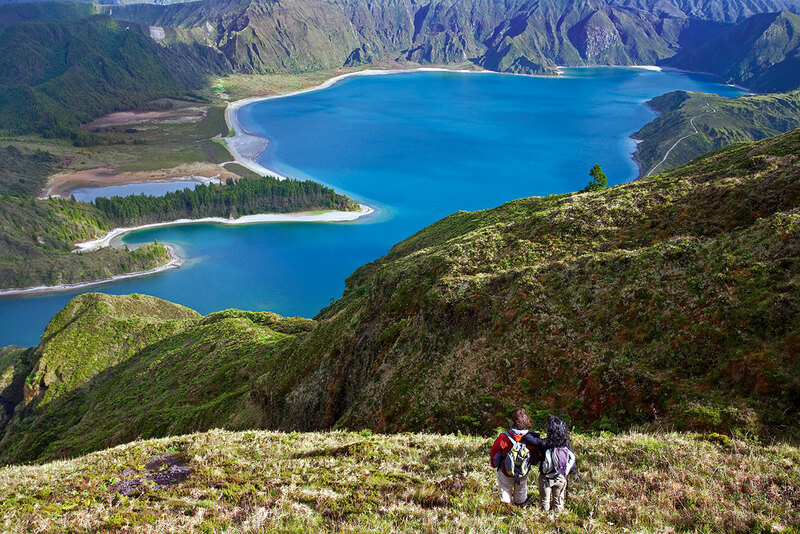 Along the climbing, gaze the municipalities of Lagoa and Ponta Delgada that were left behind. Cross a water line until you reach the first tunnel. After the tunnel you will pass a supporting house for the water harvesting. Here you will find a connection to Água de Pau through PR 42 SMI - Rota da Água, Entre Túneis e Condutas. Throughout the trail you will reach a point of interest – Janela do Inferno – a vertical wall, rich in water springs and where it is possible to see a cavity, made by the water erosion. In its base there is a natural pond where it is possible to observe Newts (Triturus cristatus) in different stages of their life cycle (aquatic larva, juvenile/eft and adult). Take a chance to appreciate the beauty of this place and to regain energy. From here, the trail turns back, by the other creek bank, crossing a series of majestic aqueducts that used to supply the ancient Alcohol Factory of Lagoa and nowadays supplies water for the municipality. At the end of the wooded area you will find a last tunnel that used to work as an aqueduct, with a 50 m length. Here, the trail returns to a dirt road accessing farming fields. 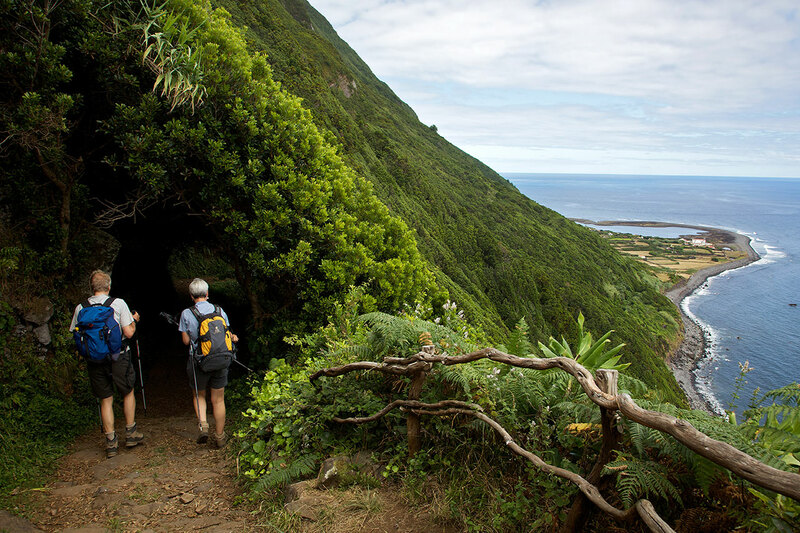 After crossing the regional road, with caution, continue ahead until you find a lookout point with a view to the municipality of Ponta Delgada. 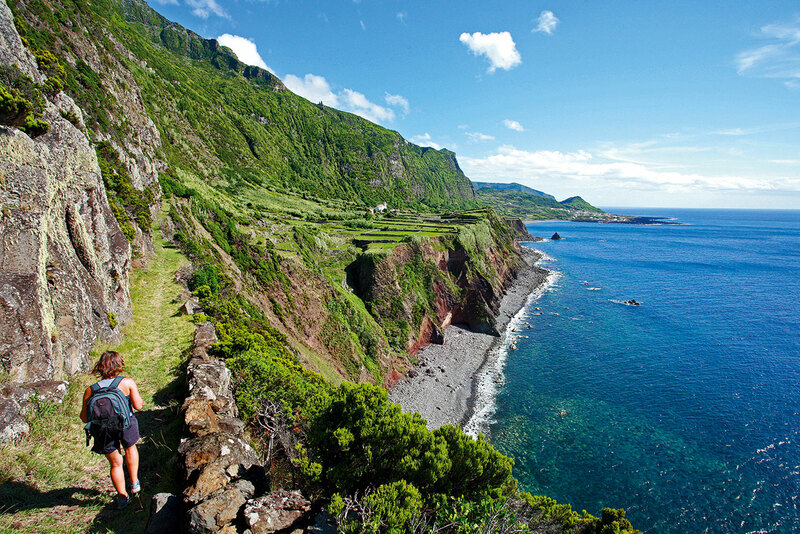 Continue the track through the interior of the village of Remédios until the picnic area where the trail ends. Here you can profit to visit the Casa da Água, an old milk post transformed into an Help Center to trekkers and also to promote the municipality of Lagoa.